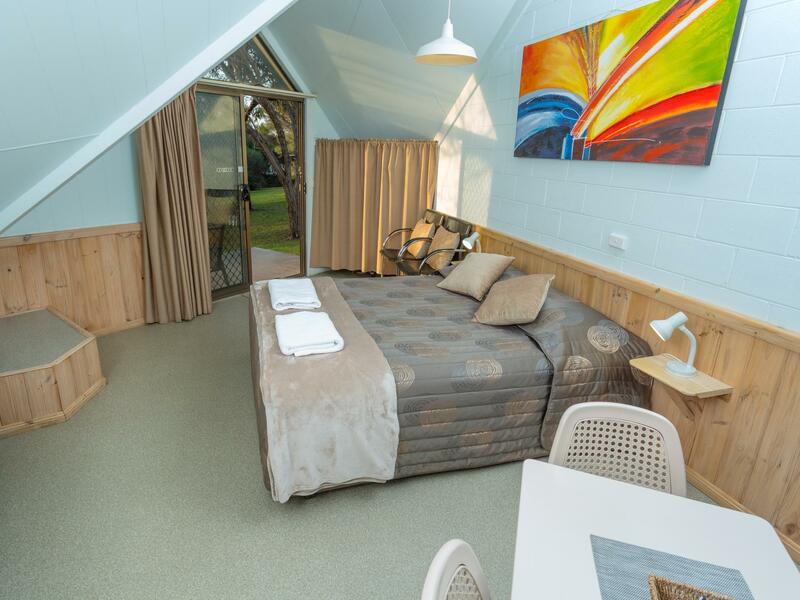 بني فندق Beach Cabins Merimbula في ، وهو يعتبر ميزة مُضافة للمدينة و خيار ذكي للمسافرين. يحظى هذا الفندق ذو 3.5 نجمات بمكان ممتاز يسمح بالوصول إلى المعالم السياحية الأكبر في المدينة، فهو يبعد مسافة 2 km عن صخب المدينة. يوجد العديد من المعالم السياحية الأكثر جذبًا للسياح في هذه المنطقة. استمتع بالخدمات الراقية والضيافة التي لا مثيل لها بهذا الفندق في هذه المدينة رائعة الجمال. لضمان راحة ضيوفه، يقدم الفندق الخدمات التالية: واي فاي مجاني في جميع الغرف, خدمة غسيل ذاتية, مجهز لذوي الإحتياجات الخاصة, مطبخ, واي فاي في المناطق العامة . لقد جهزت هذه الإقامة الفندقية بعناية فائقة لتوفر مستوى عالي من الراحة. في بعض الغرف يجد النزيل تلفزيون بشاشة مسطحة, بياضات, مناشف, غرفة معيشة منفصلة, اتصال لاسلكي بشبكة الإنترنت (مجاني). صممت خدمات الاستجمام في الفندق والتي تتضمن تنس الريشة, مسارات المشي, مسار جولف - ضمن 3 كم, حمام سباحة خارجي, صيد السمك لمساعدتك على الاسترخاء والراحة. 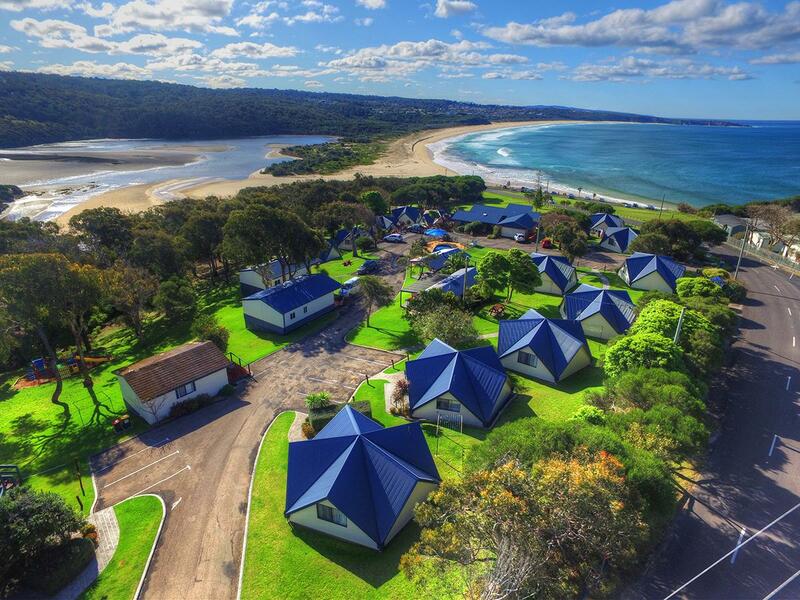 إن Beach Cabins Merimbula هو خيار ذكي بالنسبة للمسافرين، فهو يوفر إقامة هادئة ومناسبة للاسترخاء. يمكن للنزلاء إحضار حيوانات أليفة في العقار إذا كان هناك طلب مسبق. توجد شروط إضافية على حجم الحيوان الأليف وعددهم وأيام الإقامة في العقار. لا يمكن ترك الحيوانات بمفردهم في الغرف أو في الأماكن العامة. لا يُسمح بجلوس الحيوانات الأليفة على الأثاث أو الأماكن التي يوجد بها سجاد. إن وجد شعر لحيوان أليف على الأسرّة أو الأثاث، سينتج عن ذلك رسم تنظيف قيمته 50 دولار أسترالي. لا يُسمح العقار بإقامة الحيوانات الأليفة خلال أعياد يناير أو عيد الفصح. We booked this cabin on short notice and had a fantastic short stay(3 days). The view,people,beach and wildlife was excellent. 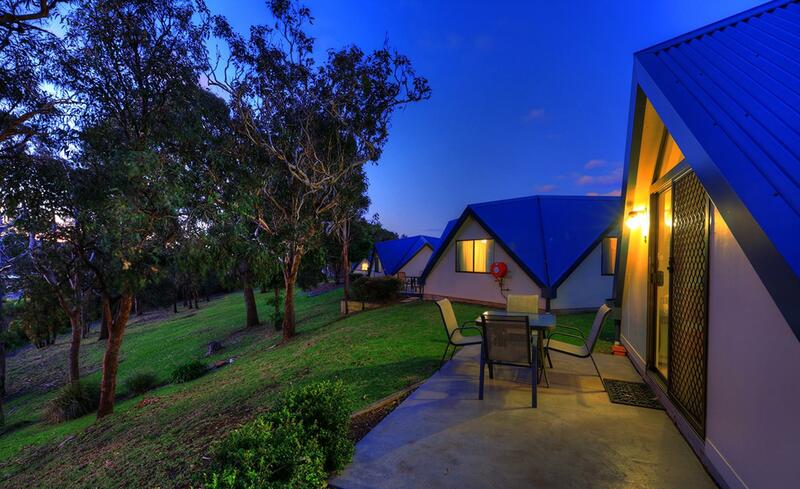 The cabins are immaculately presented and have every thing you need. Wonderful experience. "We will be back with friends and family next time" Can't wait show them what we found just 5 hours from Sydney. Owners were very accommodating. Cherrie and Kevin were fantastic hosts. Our beach cabin facing the ocean even from our bed was gorgeous. We don't have little children, but the families that did come were having a lovely time and didn't disturb us at any time. 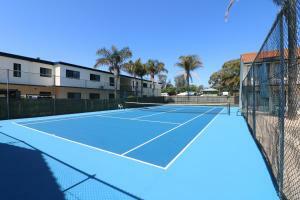 Merimbula isn't far from neighboring beach villages and they were all beautiful with historic value. The Clubs and restaurants were A1. 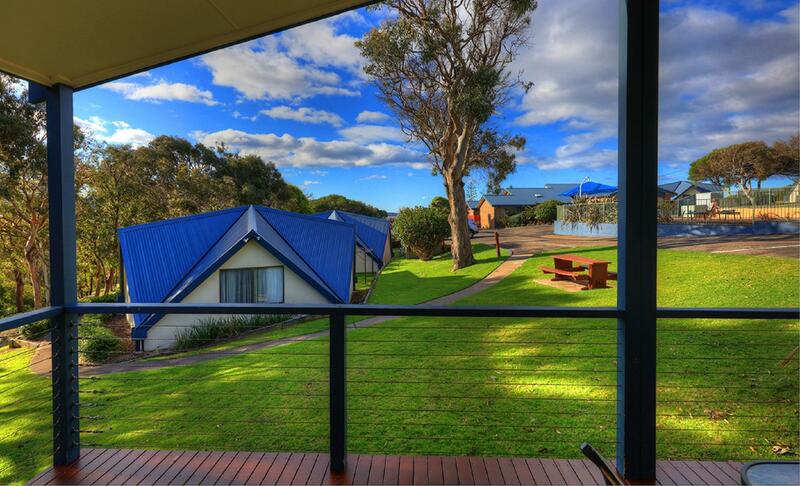 The cabins gave great access to the beach, gorgeous view and are close enough to town. The cabin was a reasonable choice for us with the best thing being a fabulous view and an easy walk down to Short Point Beach and Lake. The cabins were also very clean and provided everything we needed. I would choose a 'garden' rather than beach view next time though. The cabin is quite small with an odd shape and beam that hangs low across the room. We both banged our heads several times. We were also very close to the road and there was no outdoor cover so it was very exposed both to cars, people walking by and the weather. It is very exposed to high wind. So it was fine for us - but would only stay again if we could get another cabin that was in a more sheltered and private spot. Added bonus of a 2-ring cooker meant you could make a light meal. Close to most amenities. Beware the coffee hut recommended closes early! the cabin was delightful - clean, modern, well equiped (even a coffee plunger). the couple who run the cabins were very friendly and helpful. they actually upgraded us as they had a spare two bedroom cabin, so that was a nice surprise. the view from our rooms was spectacular - view of the gorgeous beach. 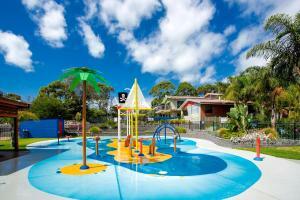 the grounds are well appointed with bar-b-ques, children's playground and well looked after swimming pool. our two dogs were made welcome and were allowed in the cabin (but not on the furniture of course). they had a lovely verandah outside the cabin to sit and watch the world go by. only five hundred metres away is the peninsula where dogs can roam without leashes - what a bonus! the beach is only a further 100 metres. i would highly recommend the cabins. we had a wonderful time.